This article examines the peculiar convergence of interests, as well as the underlying motives, that engendered the recent partnership initiative between an Italian neo-fascist movement, CasaPound, and the notorious Lebanese terrorist organization, Hezbollah. In order to bring light into a rather obscure niche of the academic research, we will first introduce the ideological drivers that underpinned the dialectic relationship that the Italian radical right maintained with the so-called ‘Resistance Camp’ throughout the entire Second World War’s aftermath, never succeeding, however, in materializing a cooperation on the operational level. The central part of this work focuses on CasaPound’s organizational dimension, providing the reader with the essential insights concerning this neo-fascist group, necessary to put the partnership enterprise into the right perspective. The ensuing section deals with CasaPound’s international operations, with a special emphasis on the Syrian arena. This author believes, indeed, that the civil war situation in Syria, along with its dramatic international ramifications, functioned as a catalyst for translating an arid ideological affinity into actual operational collaboration. 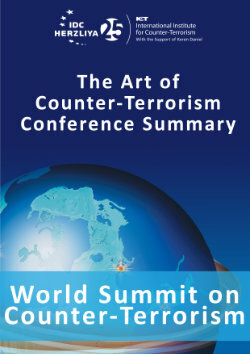 The two conclusive sections present an in-depth analysis of the conference ‘Mediterraneo Solidale’, – which took place in Rome on September 26, 2015, under CasaPound’s lead and saw the participation of two eminent figures of Hezbollah’s Political Council – as well as an attempt to explicate the mutual benefits that this sort of partnership might entail for the two players.